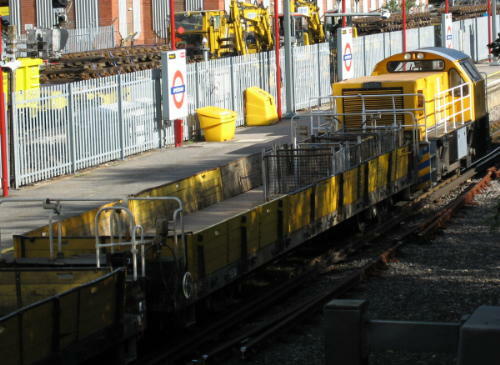 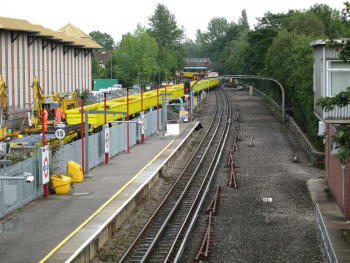 Main line locomotives returned to the Metropolitan Line on August 19, 2006. 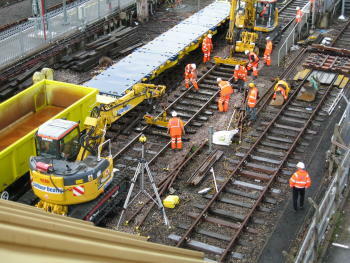 Not in charge of passenger trains, but instead taking part in Metronet's major track renewal programme. 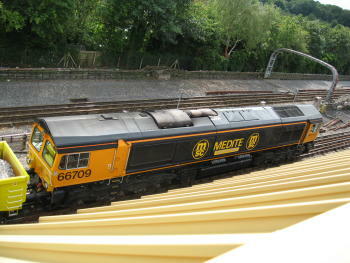 Class 66 locomotives provided the necessary motive power over the weekend. 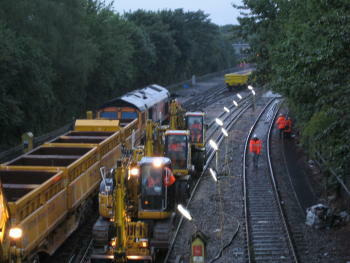 Any additional information / corrections gladly received. 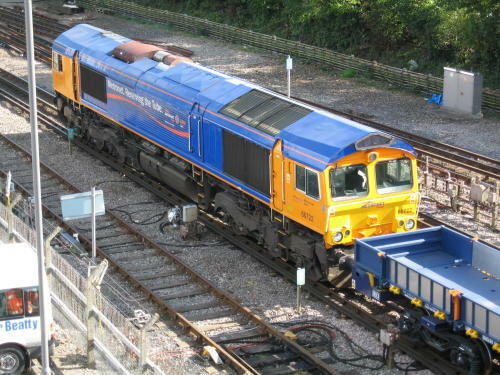 Locomotive 66719 along side platform 2 at Amersham Station Locomotive 66722 south of Amersham Station, viewed from Hyrons Bridge. 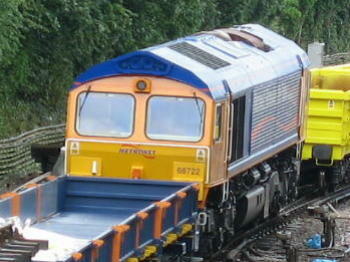 Why do locomotives always position themselves where you can't get a decent picture! 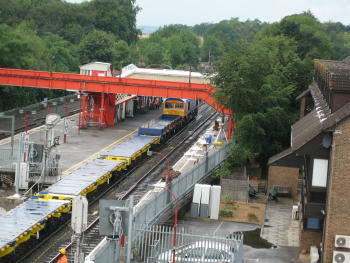 Amersham Station viewed from the top of the multi story car park. 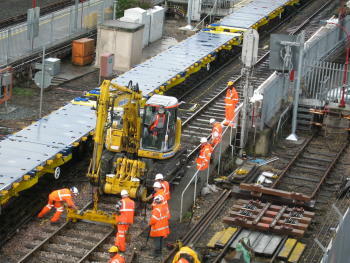 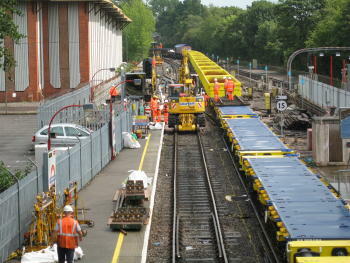 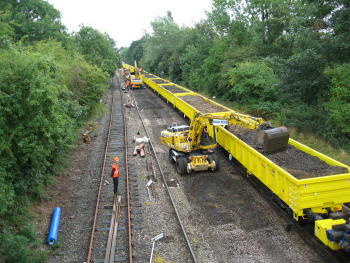 Track replacement in progress along side platform 3 at Amersham. 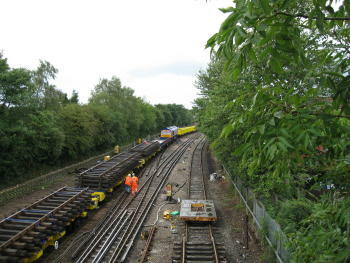 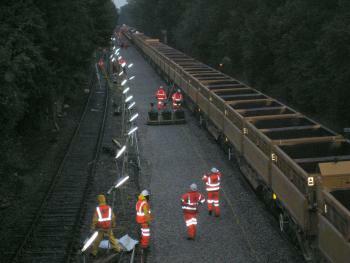 The line on the far right is a siding and is not electrified, the other track has had its conductor rails removed. 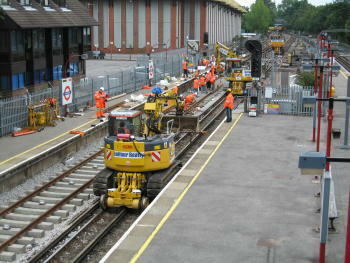 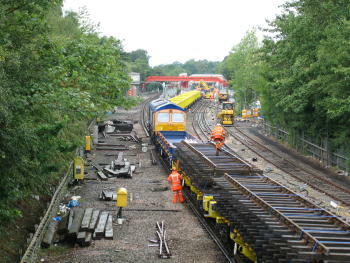 On August 20 work continued both sides of Amersham station. 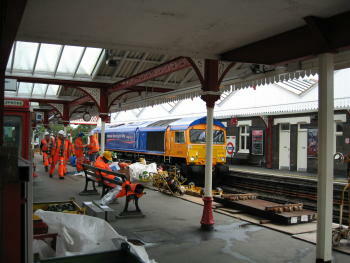 The below video has been made available by Chris Cobley. 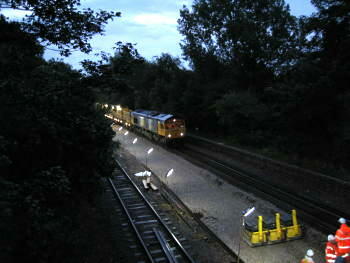 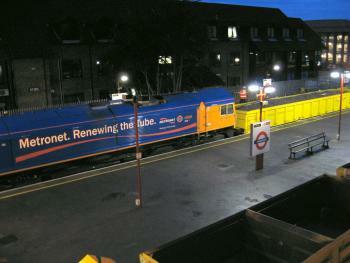 It shows a class 66s going through Rickmansworth with one of the engineering trains. 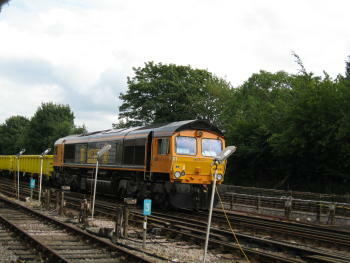 66772 at the north end of Amersham station.